Ometria, the AI-infused marketing platform for retailers, has raised of $11m of Series A funding – in a funding round led by US VC Summit Action, Sonae IM and Samos Investments. Other signifcant backers included UK investment syndicate Adjuvo, while individual investors included Sir George Buckley, chairman of Black & Decker, Lance Batchelor, CEO of Saga and ex-MD of Amazon, Alan Parker, chairman of Mothercare and Matt Cooper, chairman at Octopus Investments. Existing investors also contributed, including fifteen original angels, as did SaatchInvest and Force Over Mass Capital. 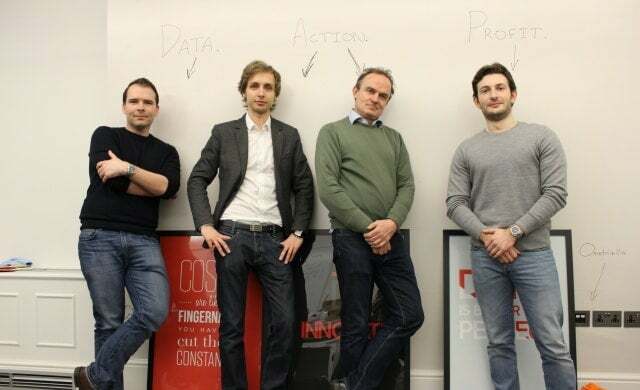 Founded in early 2013, the Mayfair-based start-up enables its clients to send individually-personalised marketing messages across all touchpoints such as advertising campaigns, loyalty programmes and a brand’s websites. Used by over 100 of the largest multi-channel retailers in the UK market, Ometria boasts a client list that includes the likes of Graze.com, Wonderbly (formerly Lost My Name), LoveCrafts, Moss Bros, Crew Clothing, Charlotte Tilbury and Feelunique. Following the latest investment, Ometria has raised a total of $11m – with previous rounds including two seed funding rounds worth $1.5m and $500,000. In addition to the fresh injection of cash, Ometria has also announced two new senior hires. To help its clients prepare for the upcoming GDPR legislation, Julian Palmer has joined as general counsel and data protection officer (a necessity for businesses that hold consumer data) while Kate Franklin joins to help with the commercial arm of the start-up. “Ometria fundamentally changes the industry, helping retailers meet brand experience expectations for the modern consumer. It’s a transformative product with huge potential globally. “The team and I are truly proud of the investors who have backed us and validated our mission of becoming the brain that powers and personalises all communication between retailers and their customers. “From a leading US VC fund, to a European retail conglomerate, to successful individual leaders in the retail industry, we could not have hoped for a better group to help us achieve this mission. “With the Ometria platform, for the first time retailers can get a complete understanding of each and every customer, predict their interests and future behaviour, and use it to directly encourage them to keep coming back.